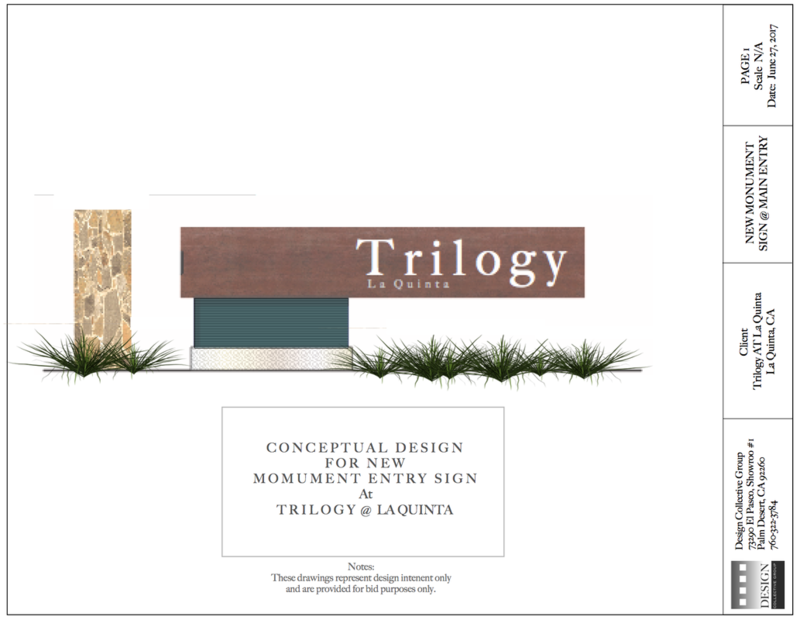 TrilogyArchive - The Design Collective Group, Inc.
View Triolgy Master Plan Final v2 in Chief Architect’s 360° Panorama Viewer. 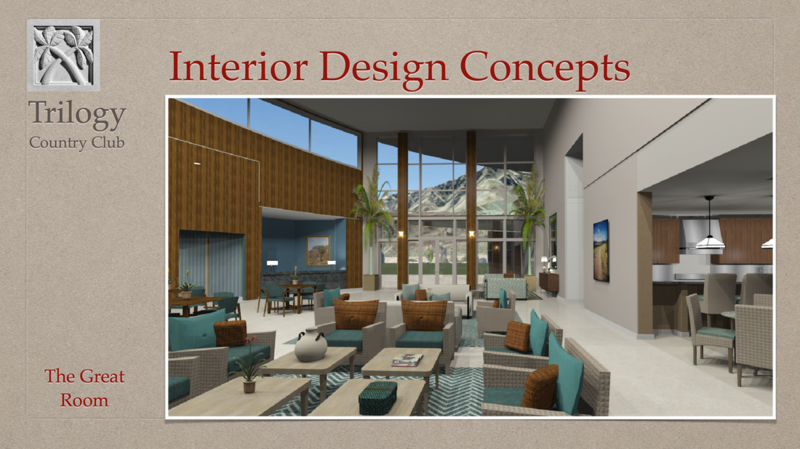 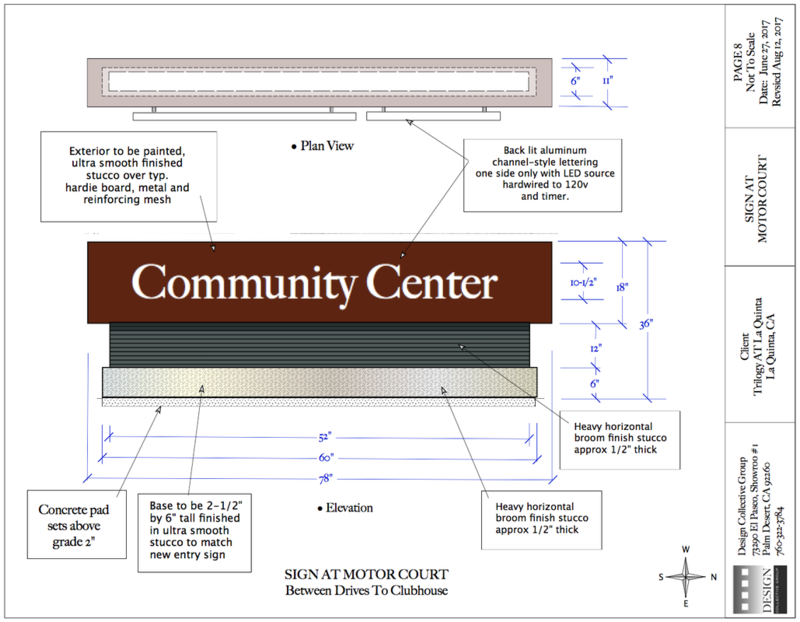 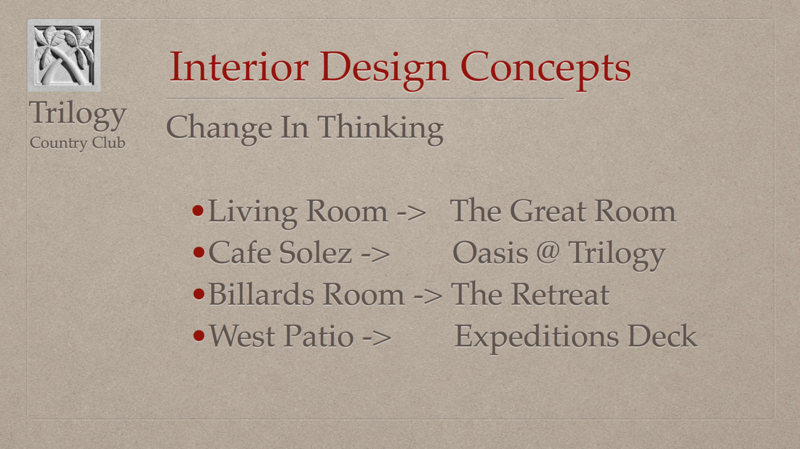 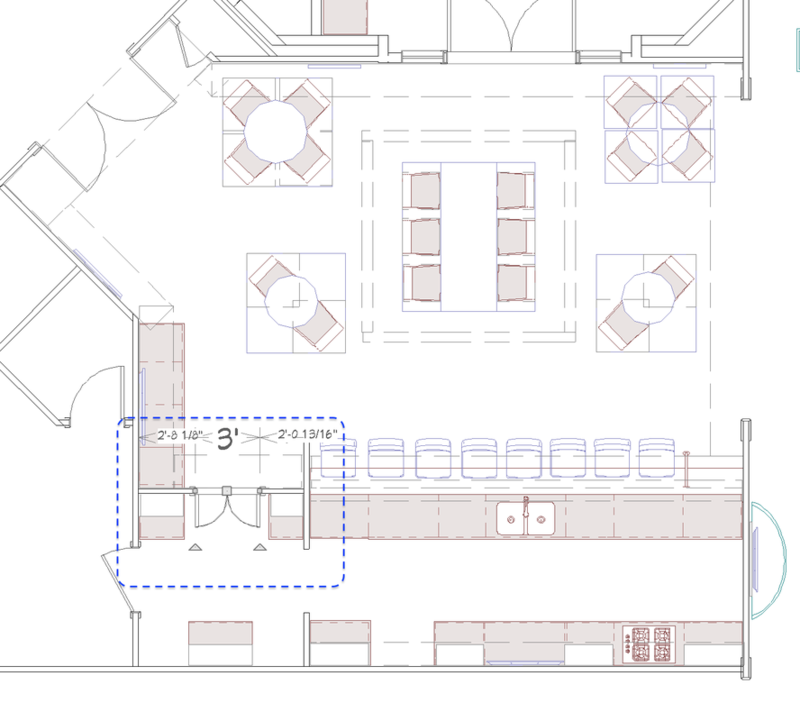 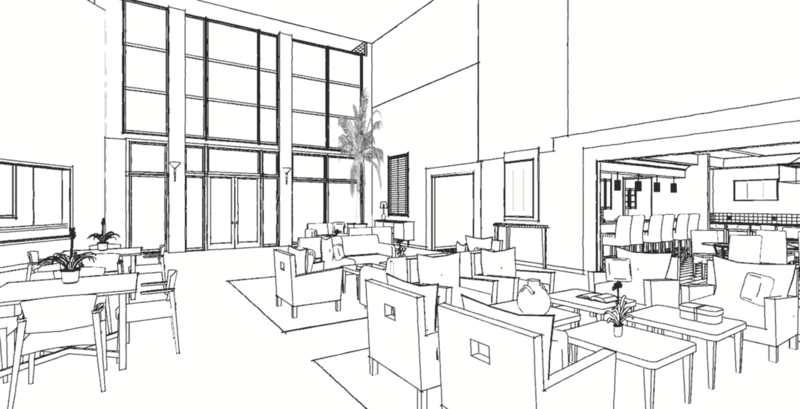 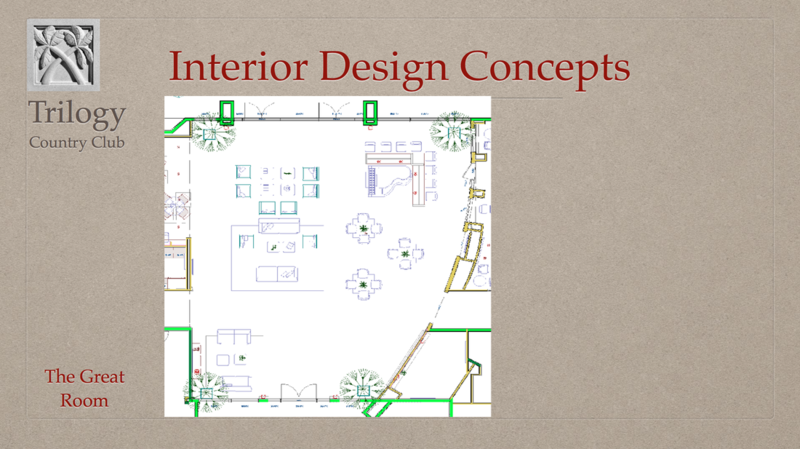 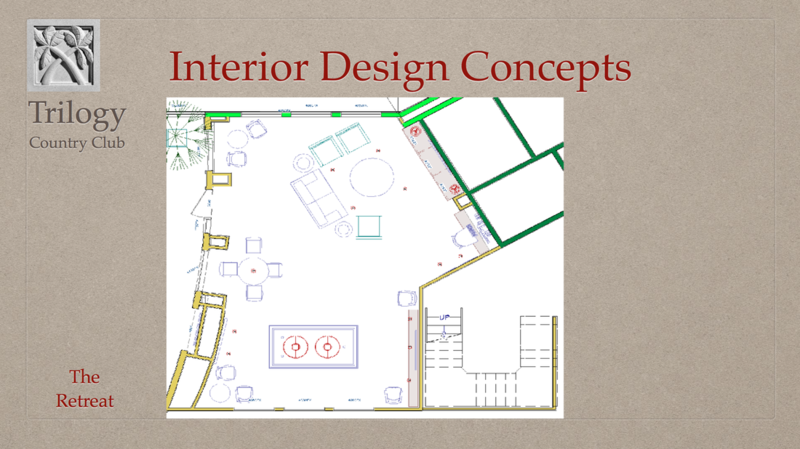 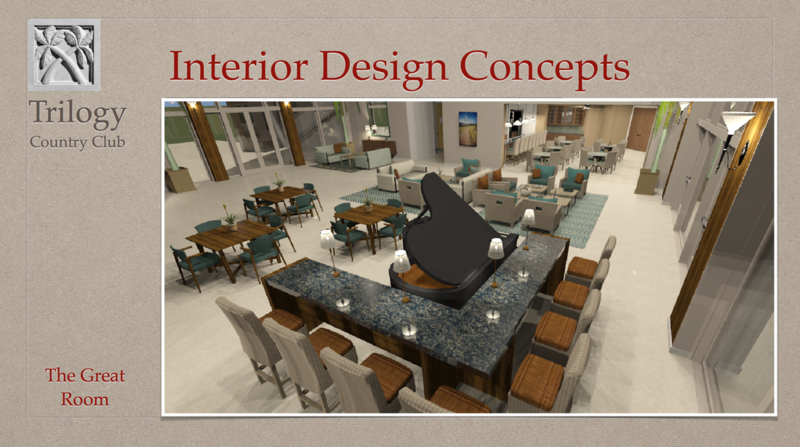 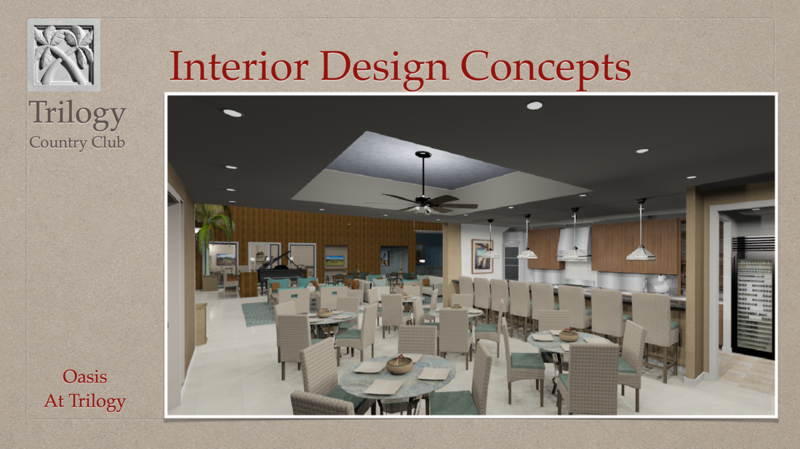 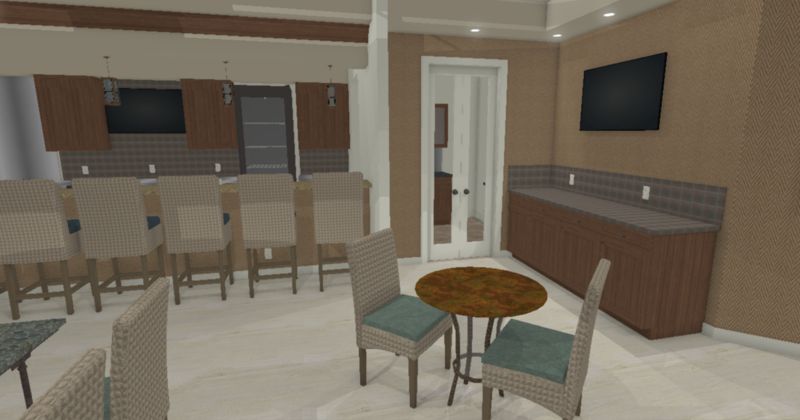 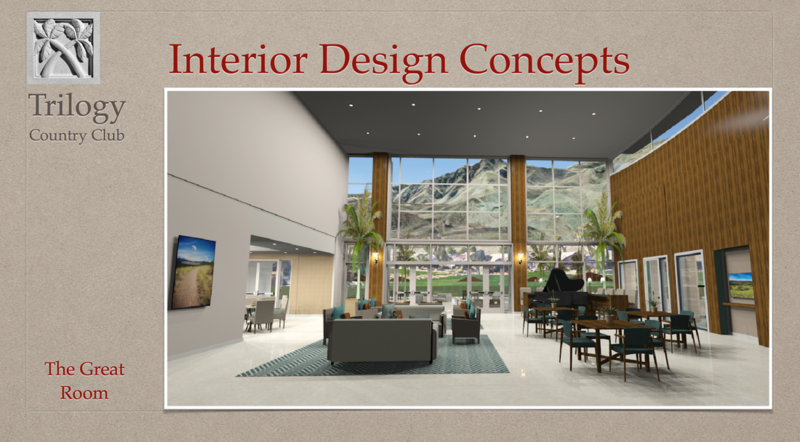 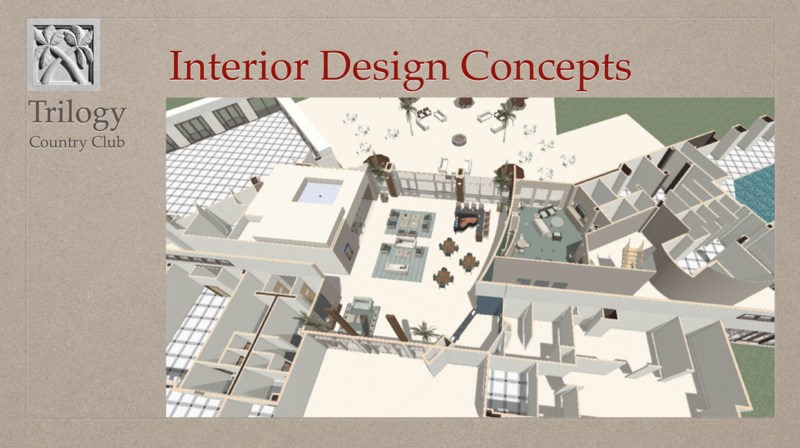 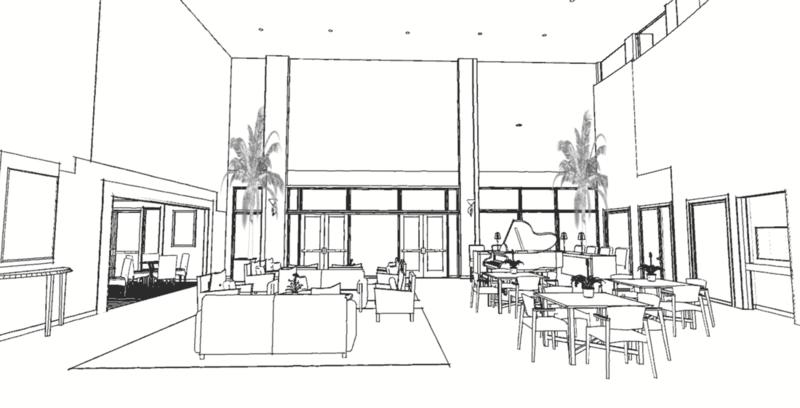 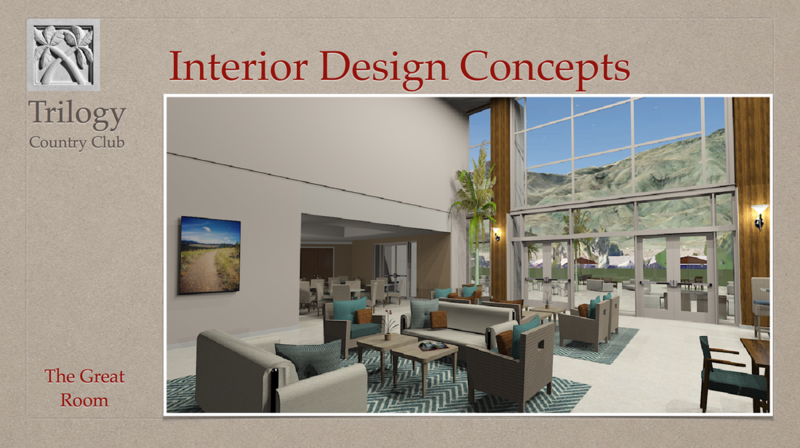 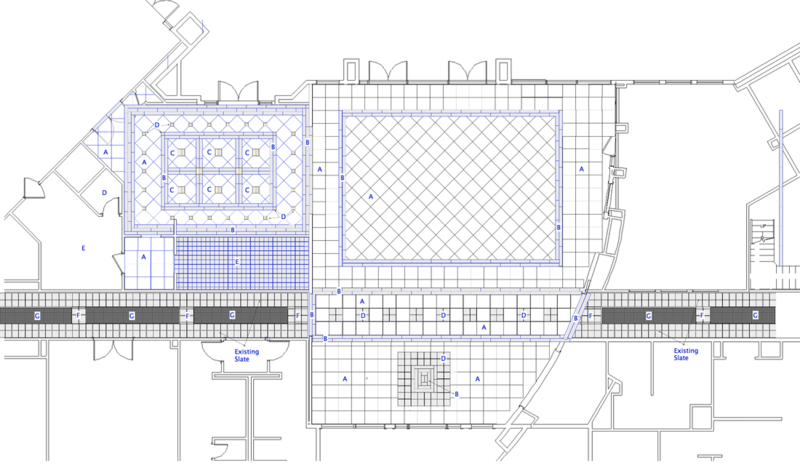 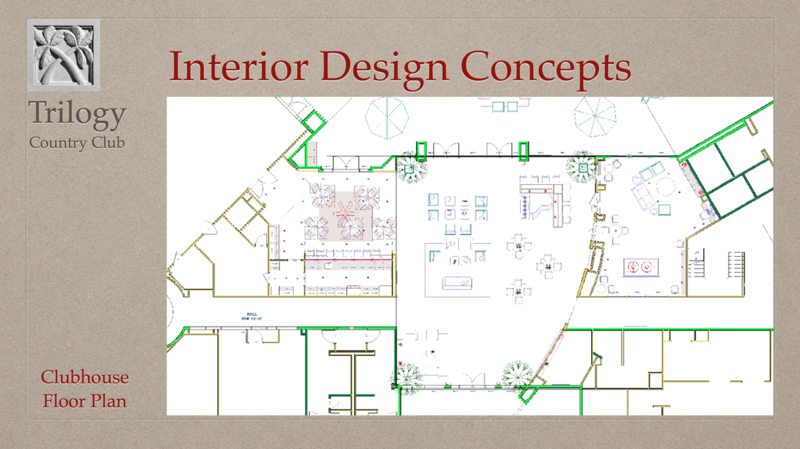 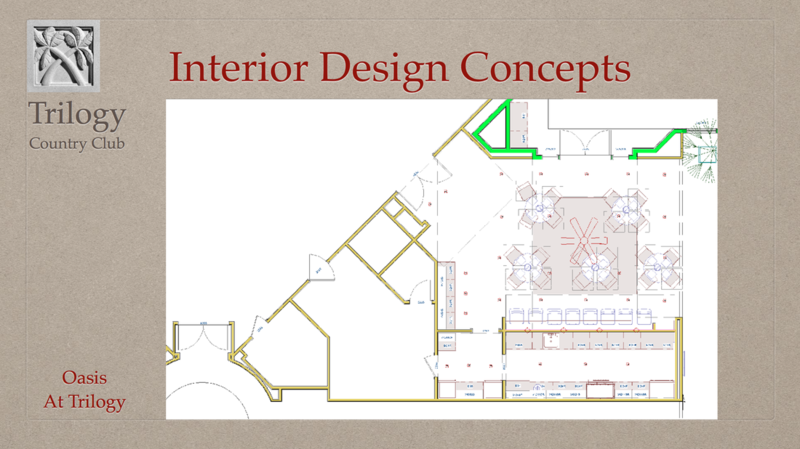 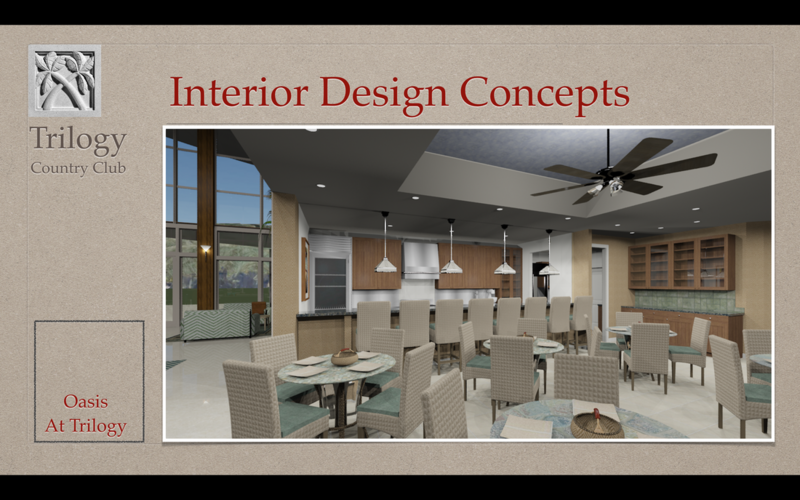 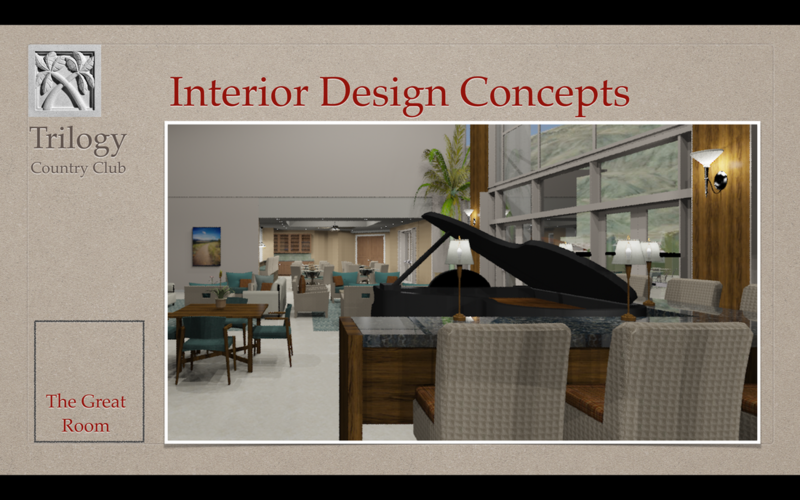 ​ Drawings and Plans For The Great Room, Oasis Cafe and the Retreat. 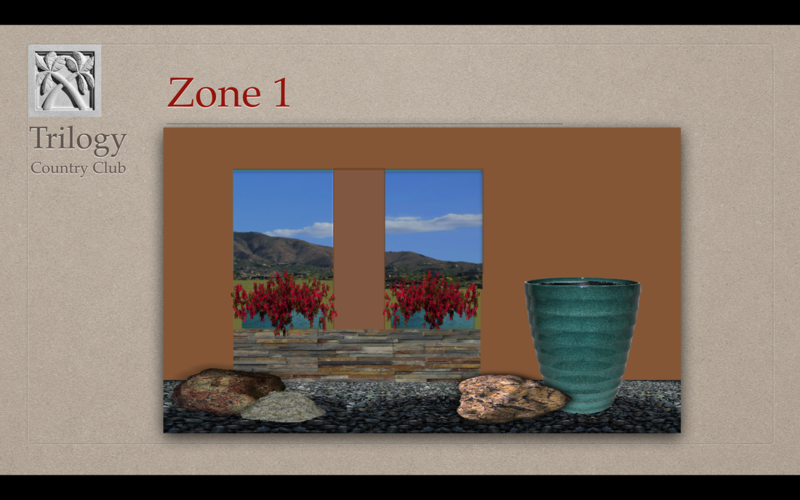 Build a series of wall planters up against the copper curved wall. 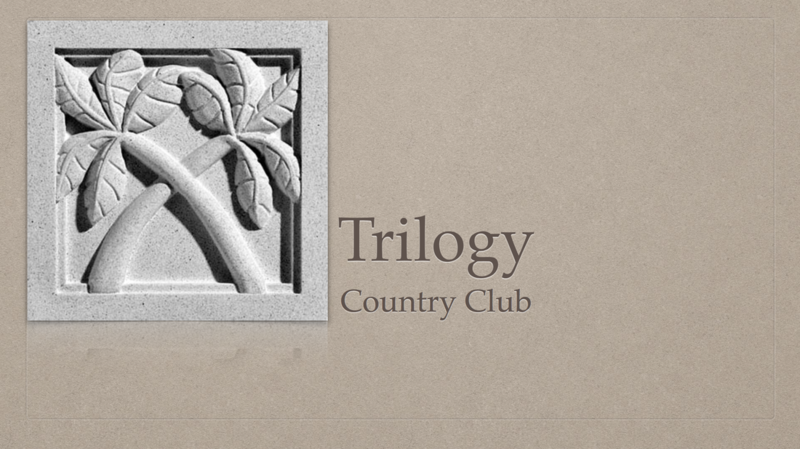 View Trilogy Oasis 360 in Chief Architect’s 360° Panorama Viewer. 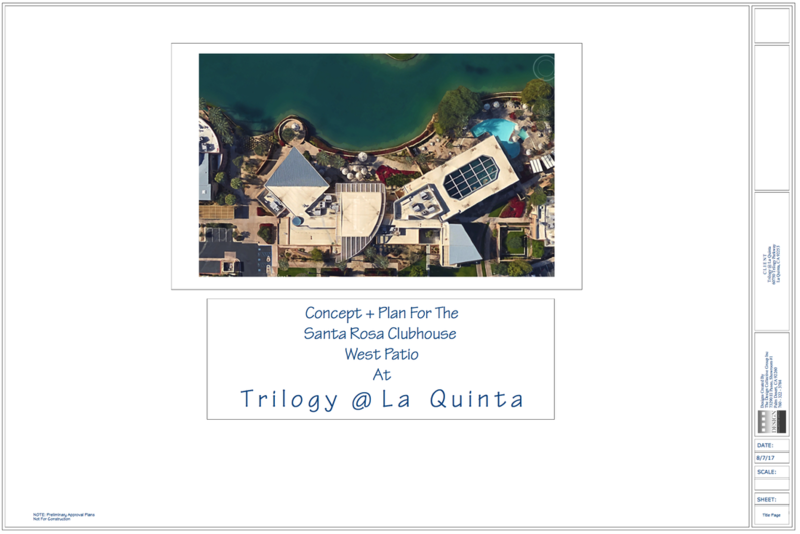 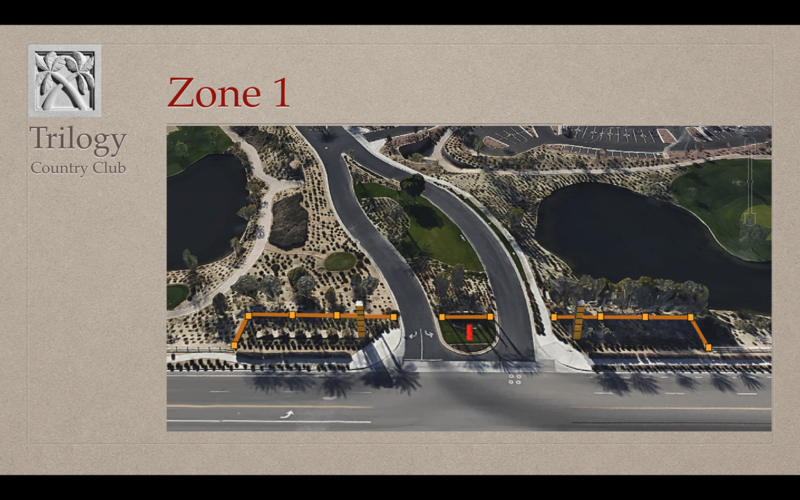 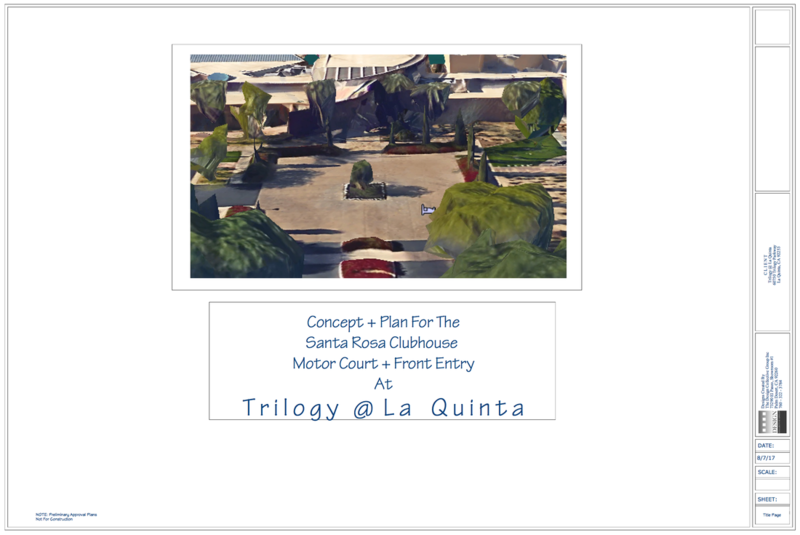 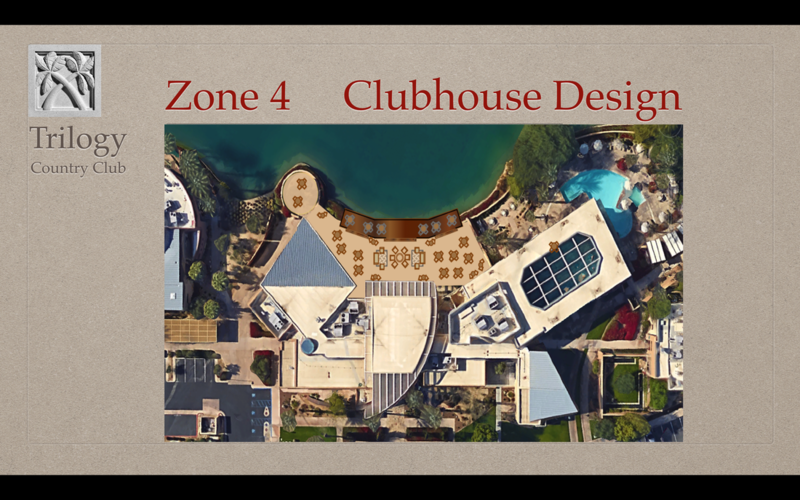 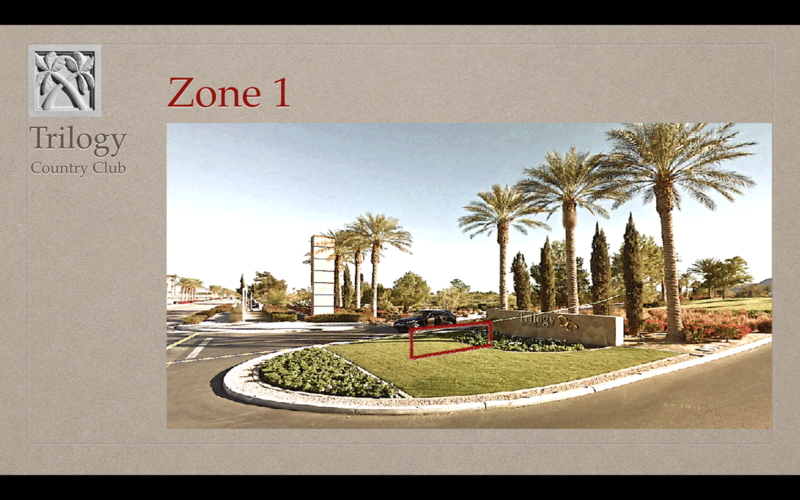 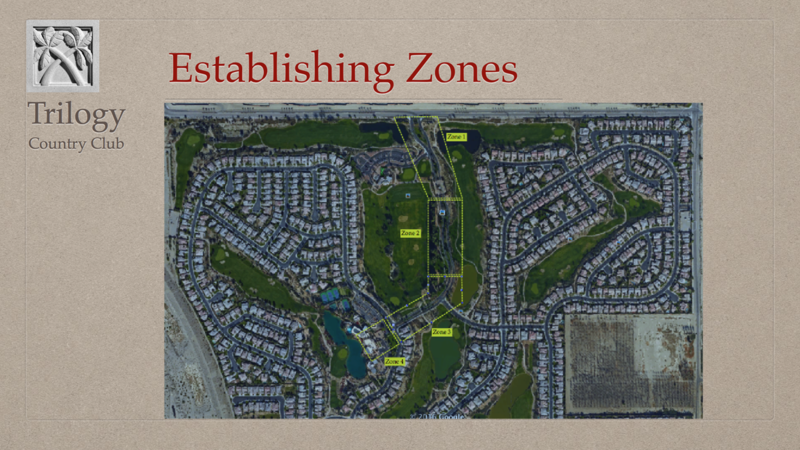 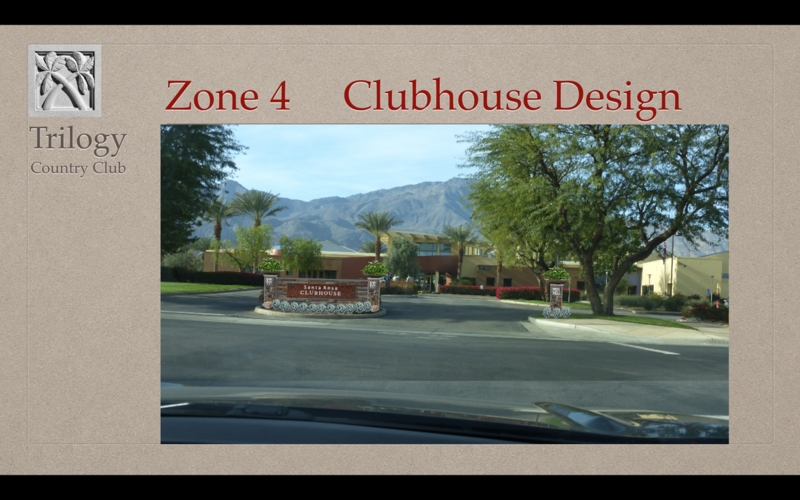 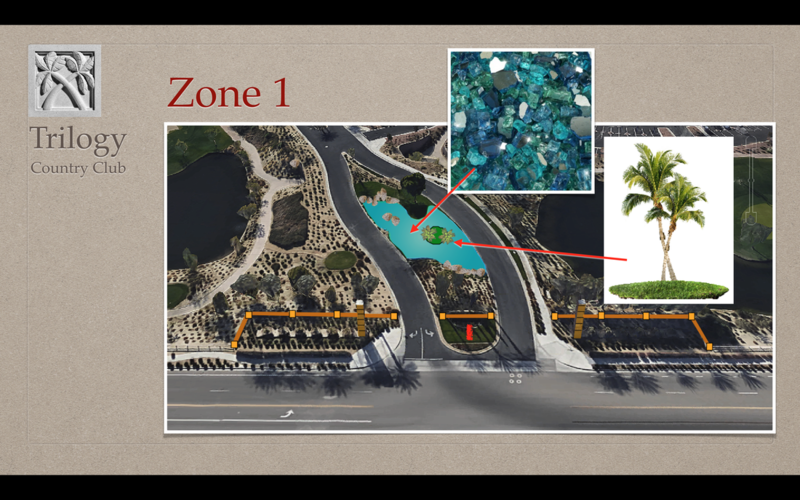 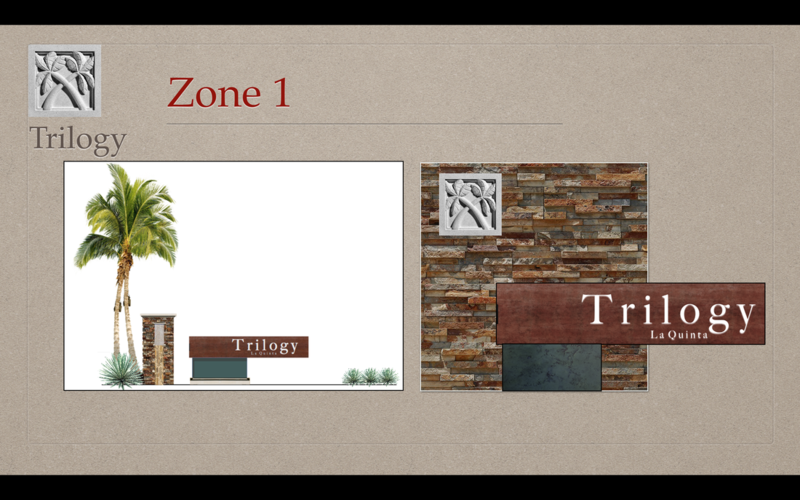 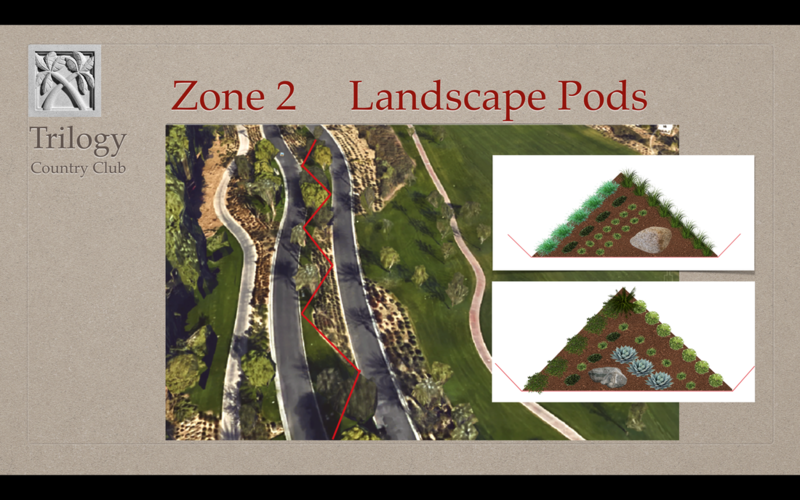 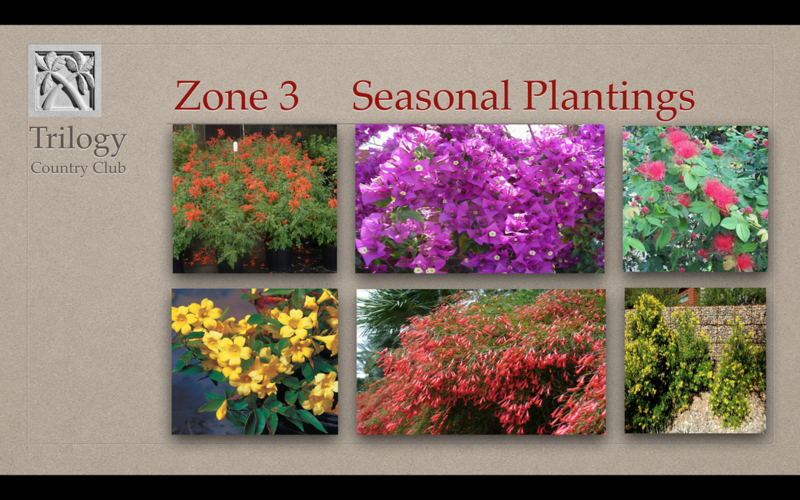 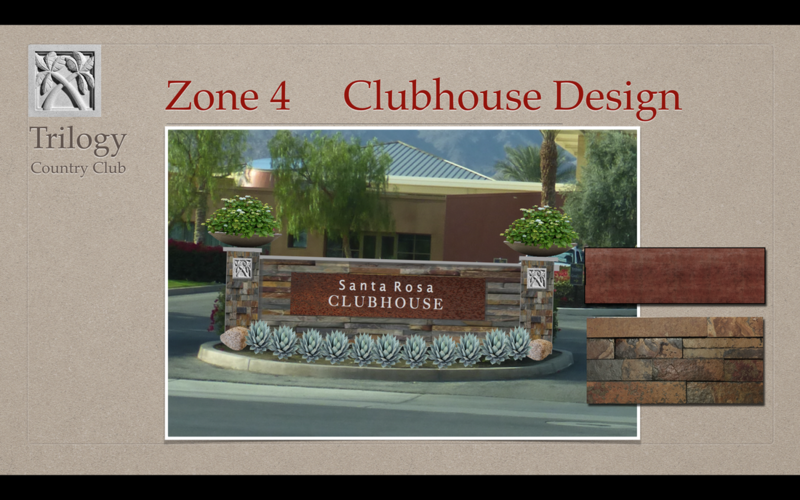 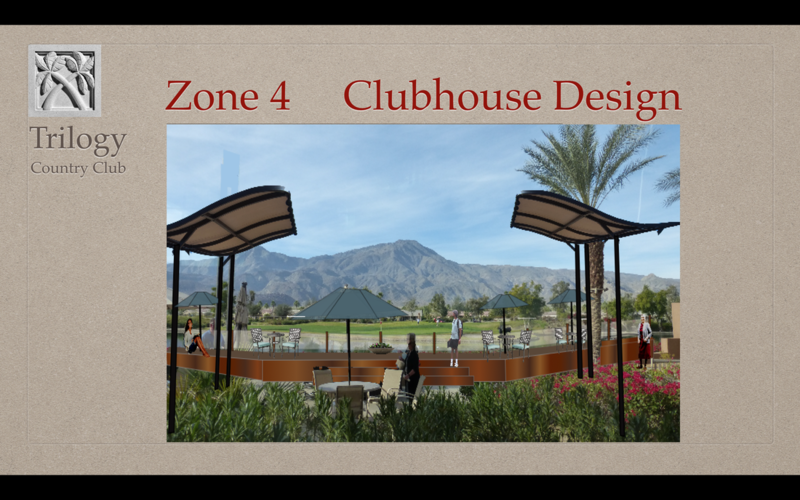 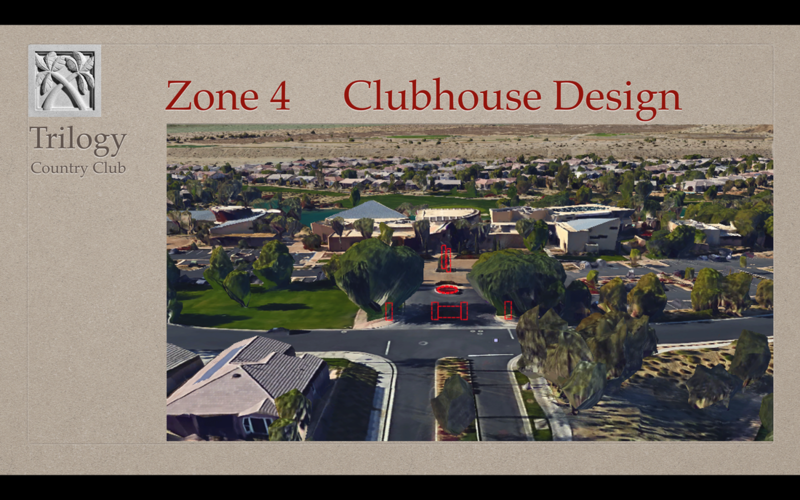 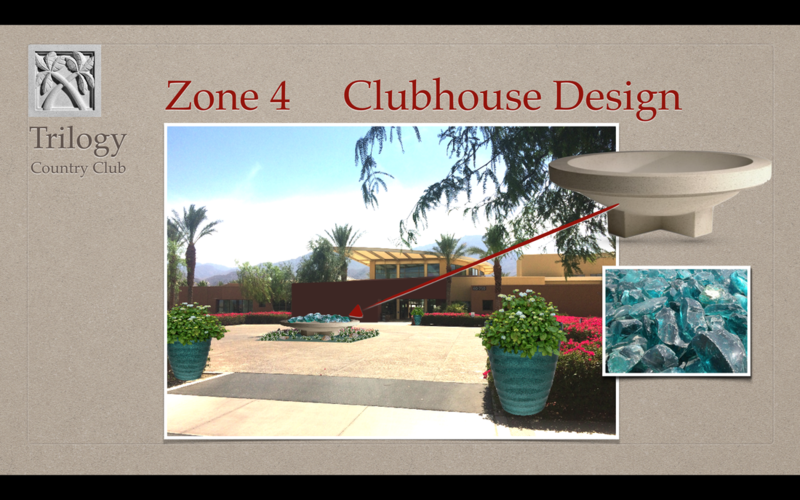 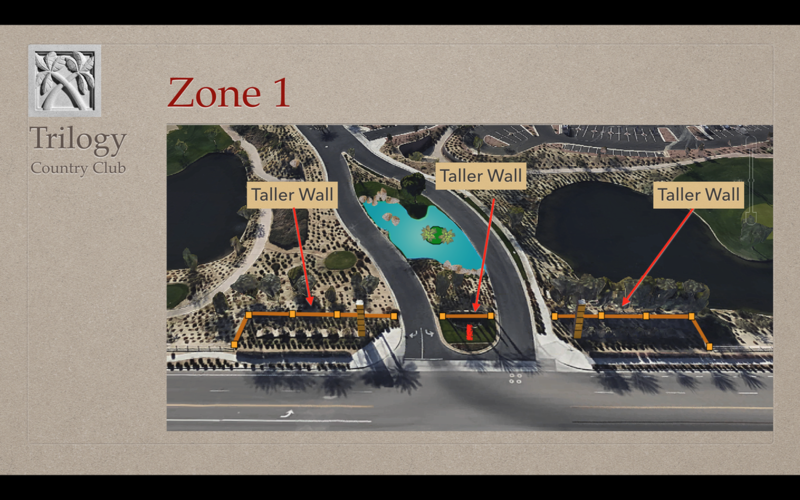 We've segmented the Trilogy property into "Zones" and have grouped designs and concepts into each of these zones. 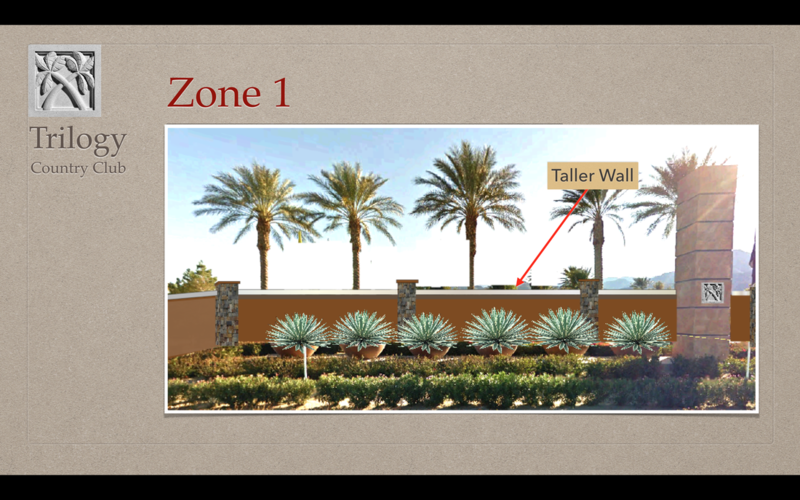 Add focal point plantings and planters in windows of walls surrounding the gate house. 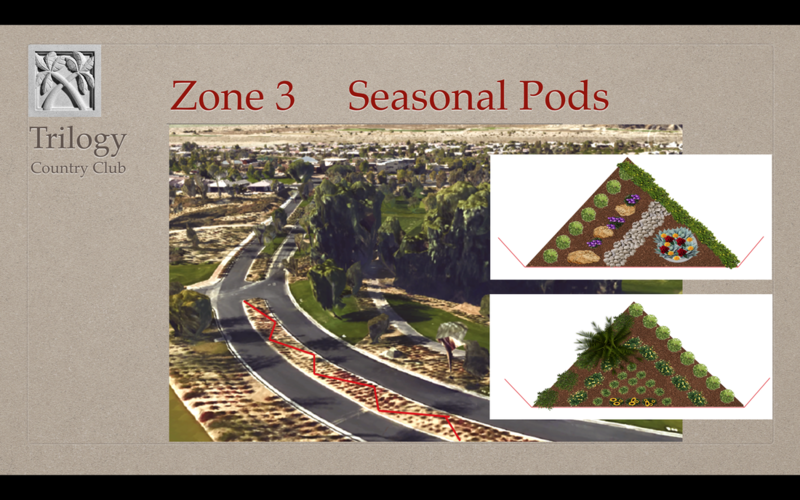 Seasonal Pods feature texture and color; spaces for annuals, seasonal species, rocks, planters. 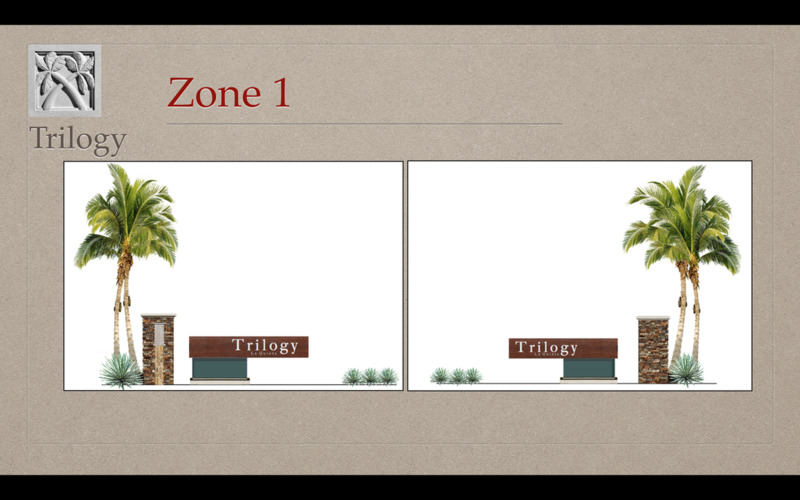 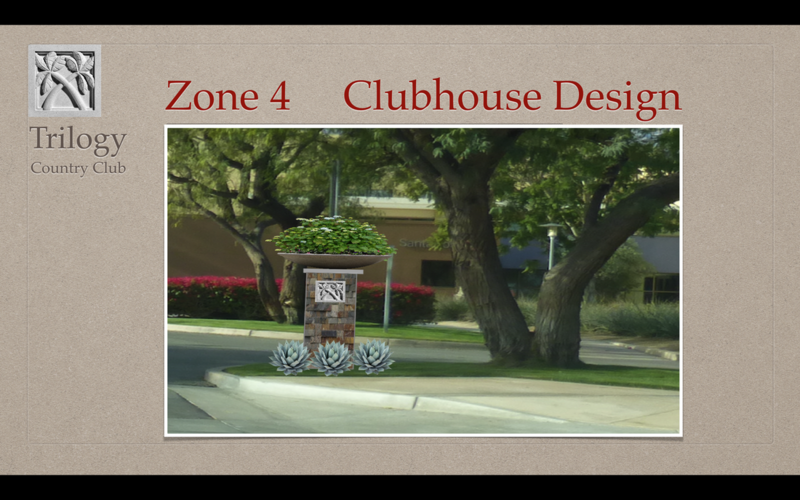 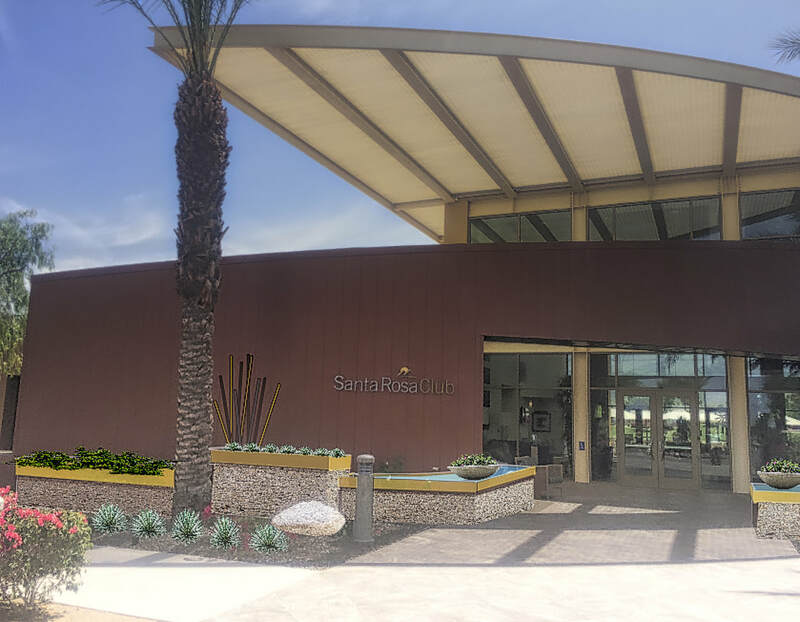 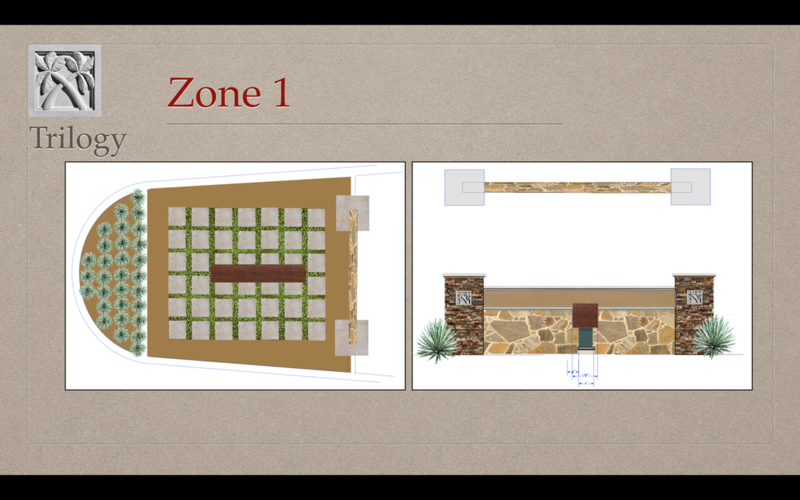 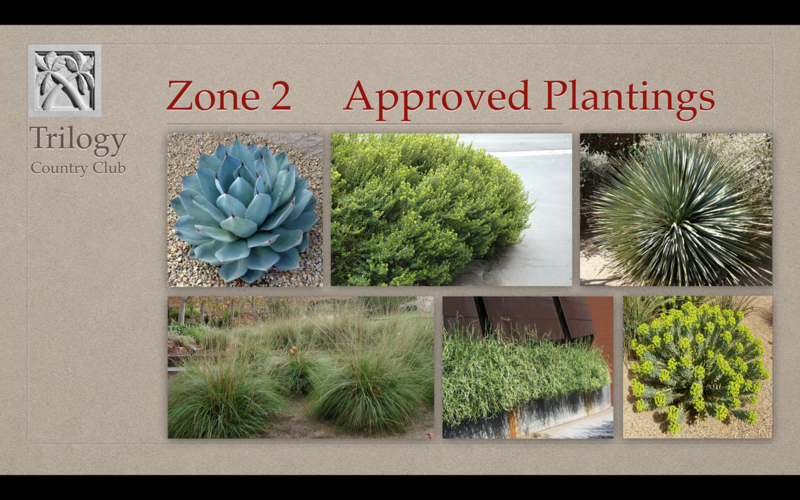 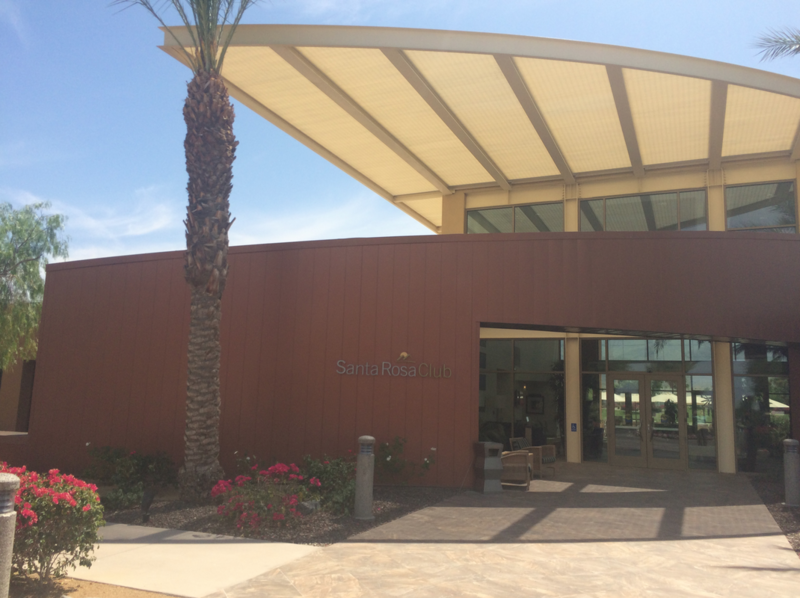 Concepts For Signage + Planting At The Santa Rosa. 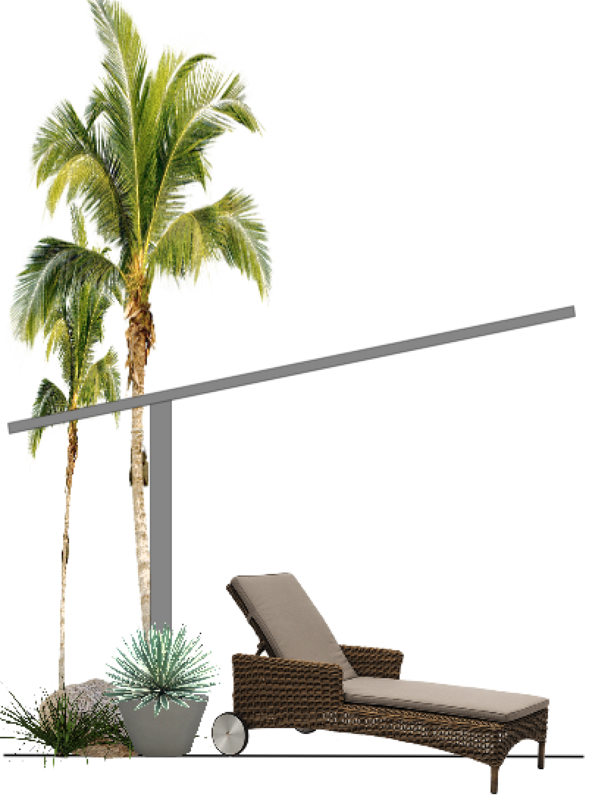 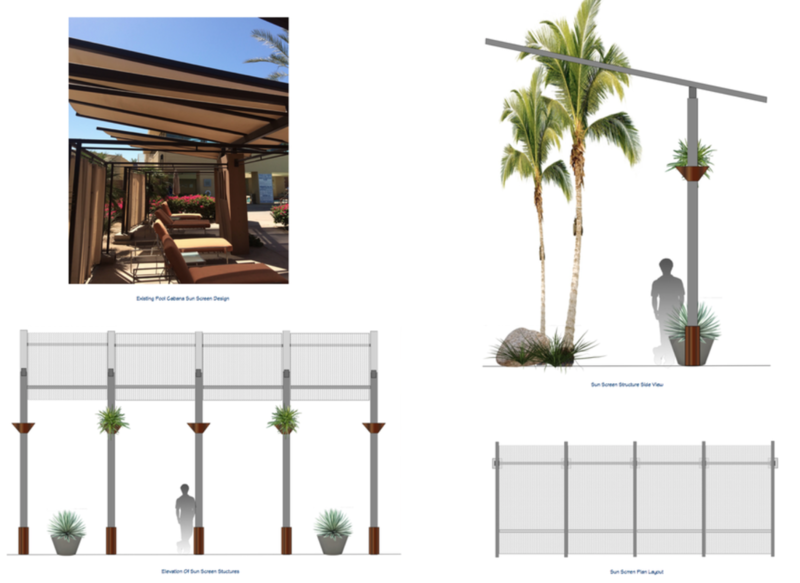 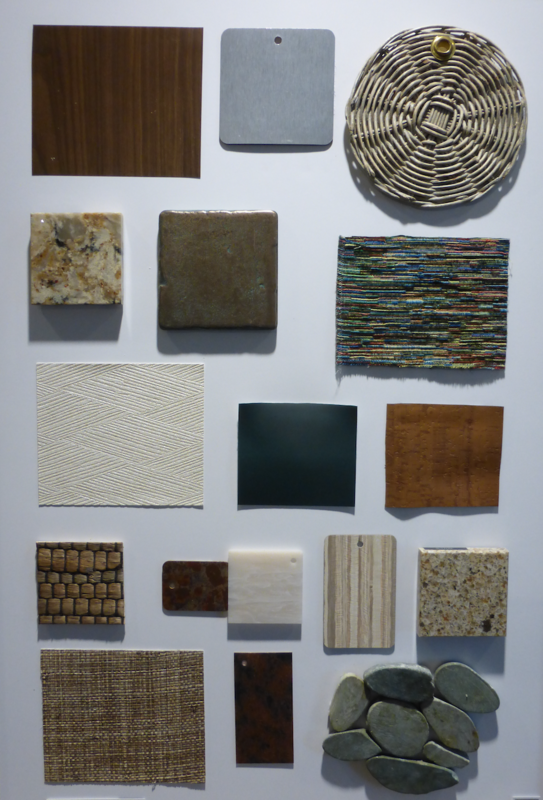 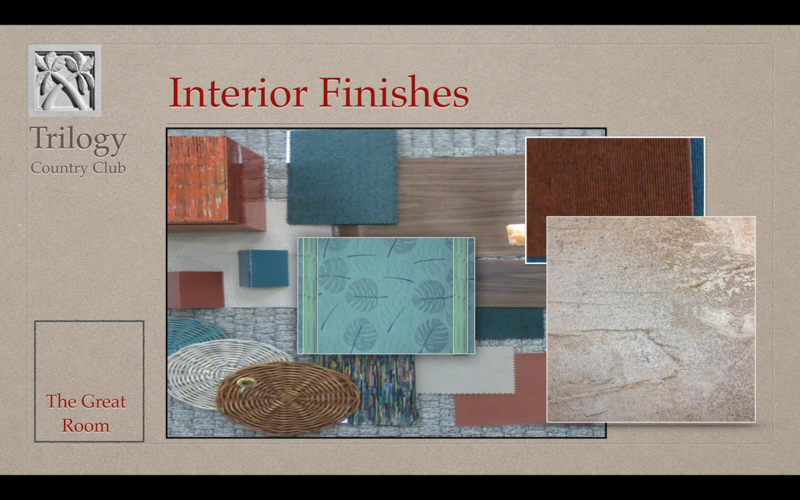 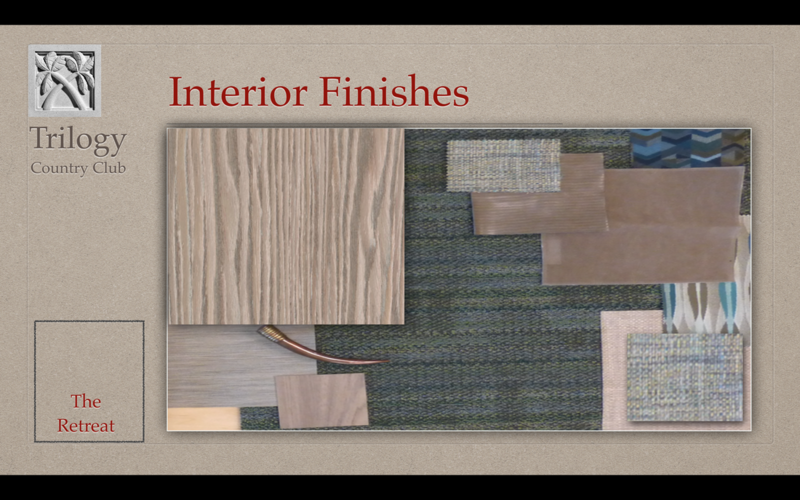 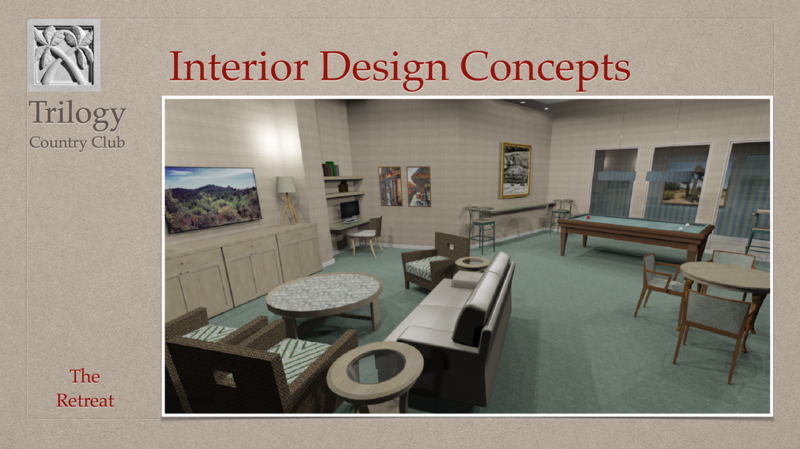 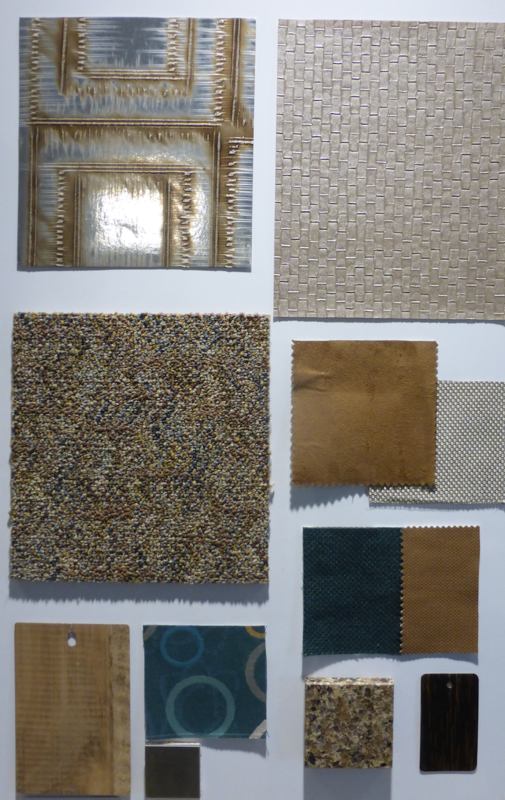 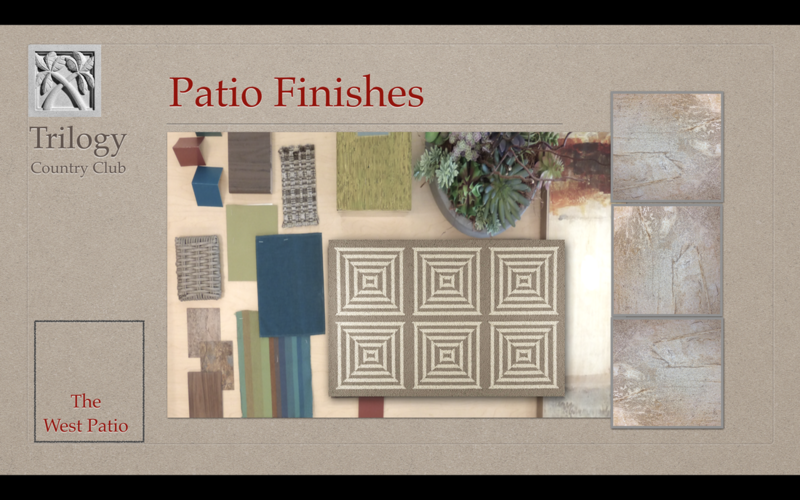 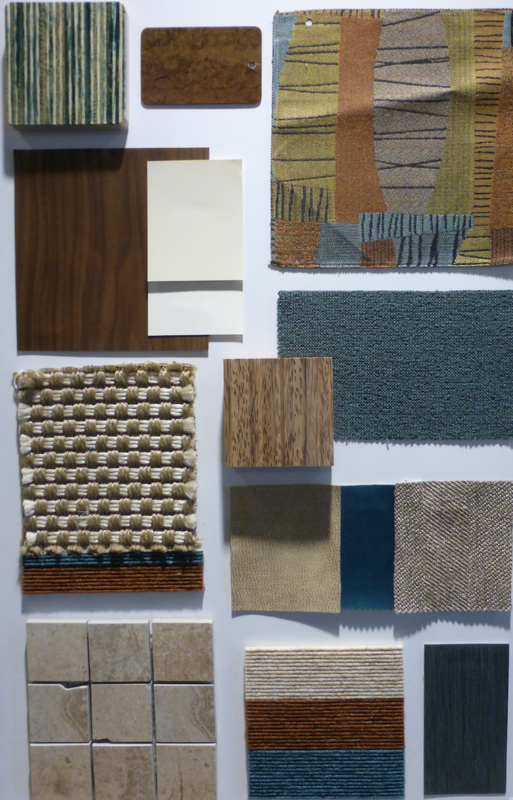 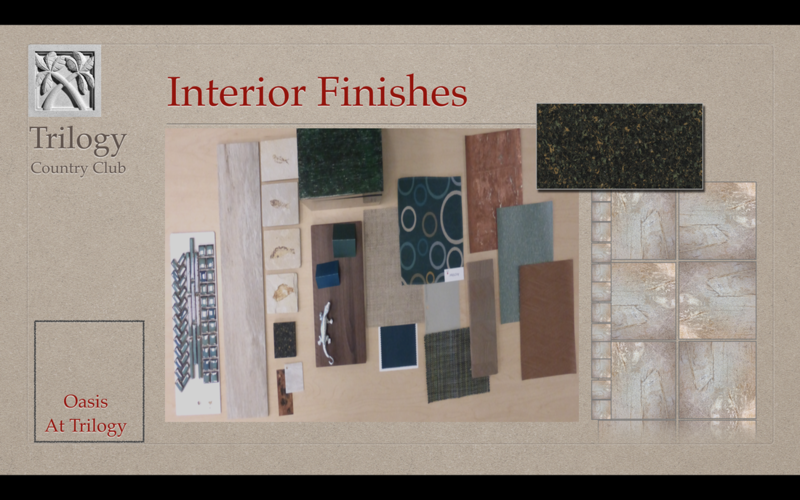 • Proposed Color Palette For The West Facing Patio Deck, featuring durable outdoor-rated fabrics, rugs and artwork.